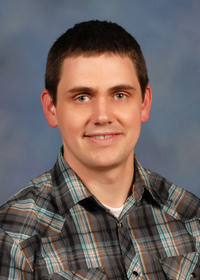 The information presented on this page was originally released on February 9, 2015. It may not be outdated, but please search our site for more current information. If you plan to quote or reference this information in a publication, please check with the Extension specialist or author before proceeding. There are a lot of different traditions and customs when it comes to predicting the weather. Just last week, we looked to that venerable weather creature, the ground hog Punxsutawney Phil, to tell us how many more weeks of winter before we can expect spring to arrive. Personally, I like to listen to the predictions of Oma Desala. Oma is more commonly known as Mother Nature, and in late winter, she provides subtle clues to the arrival of spring. In the coastal counties where I live, the red maples have started to show their bright red flower clusters -- three weeks earlier than they did in 2014. A more conservative indicator of spring is the yellow jessamine. But when it comes to the landscape, I like to believe in Oma’s really optimistic clues that the end of winter is close at hand. These clues occur early every spring in our landscapes after we have had several warm and sunny days. At first, this plant has just a little color peeking out of flower buds, but then all of a sudden, there is a rush of color ranging from the faintest of pinks to the boldest purples. Saucer magnolia is this eternally optimistic plant. It normally flowers in the middle to late spring, usually past the risk of late frosts. With the many selections available, some may bloom earlier and some later. With the margin of error in any weather prognostication, I don’t recommend that you go out and start planting your tomatoes based on the flowering of your saucer magnolia. Saucer magnolia is by far the most popular of the flowering magnolias. It is a cross between different deciduous magnolias dating back to the 1820s in Europe. The story goes that the saucer magnolia was developed to bring beauty back to the European landscape after the Napoleonic Wars. 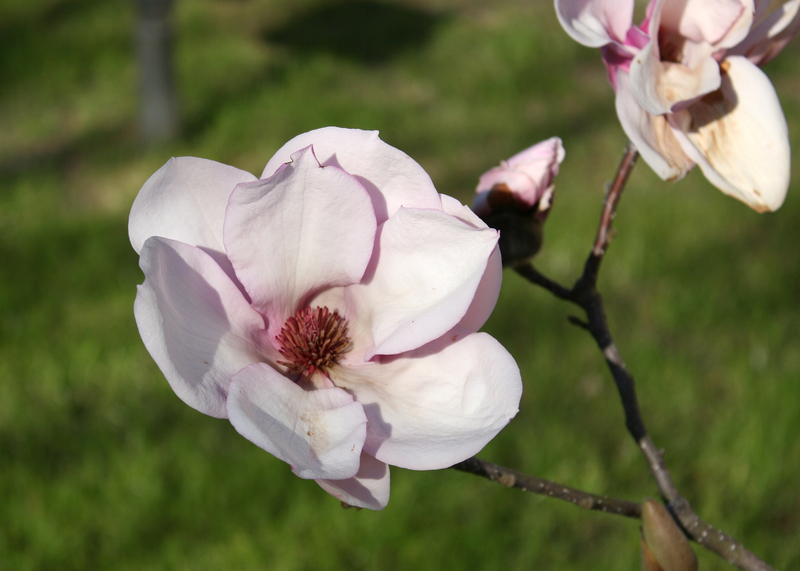 Saucer magnolia is considered a small tree, and it may eventually reach 20 feet tall by 20 feet wide. Driving around Mississippi, I have seen specimens that have achieved much larger sizes than this. I think multistemmed specimens are the most attractive. You can maintain and control the size of the plant by pruning. The best time to prune this spring-flowering tree is immediately after flowering. The leaves can be quite variable, depending on the selection, and add textural interest. They have an elliptical shape and can be up to 8 inches long. But since they bloom before the leaves emerge, the flowers on saucer magnolias are the main attraction. They are huge! Some selections can have flowers up to 10 inches across. The colors vary from white to pink to a bold purple, depending on the variety. There are many selections and cultivars to choose from, and your decision on which one to choose may be hard to make. Saucer magnolias are a good landscape choice as a low-maintenance, easy-to-care-for plant. Be sure to plant it in full sun in well-drained soil. 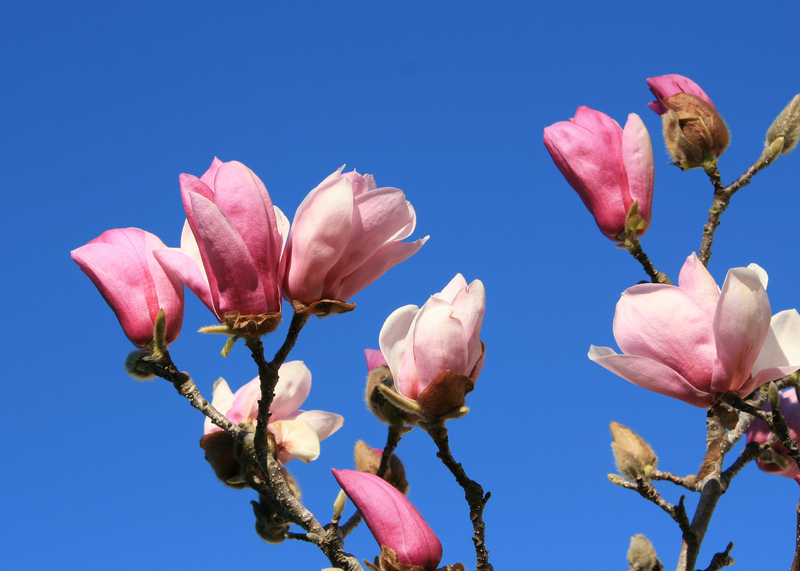 Make sure the soil doesn’t dry out completely, as drying out causes the saucer magnolia to drop its leaves prematurely. The flowers buds also don’t develop as well during droughty conditions. Irrigate deeply during times of drought stress to ensure a beautiful spring next year.